Location, location, location! This Niagara Falls hotel is conveniently located in the heart of the Fallsview Dining and Entertainment district. We are as close as it gets to the mighty Falls. And we’re literally just steps away from many of Niagara’s favourite attractions. Niagara Falls has a variety of attractions that are fun for everyone – couples, families and tourists. Niagara Falls is also the perfect setting for your conference or corporate event. When you book a room or vacation package at Holiday Inn Niagara Falls you’ll be as close as possible to the attractions that draw hundreds of thousands of visitors every year. Holiday Inn by the Falls is conveniently located adjacent to the Skylon Tower where you can enjoy a memorable dinner with 360° views to die for. We offer a balance of popular family friendly and fine dining options. We’re located next to Fallsview Casino and the Fallsview entertainment district which has lots of great shopping, attractions, water parks, movies and live shows. Whether you’re in town for a concert or a once-in-a-lifetime fireworks show, you’ll enjoy our convenient location, comfortable rooms and awesome amenities. Staying for one or two nights? Our packages combine the room of your choice with tickets to some of the area’s top dining and attractions. A romantic weekend for two, wine tours and boat rides at the base of the Falls are just a few of the perks to some of our great packages that add value to your Niagara Falls adventure. Our Niagara Falls Hotel books quickly. Book your room or vacation package now with Holiday Inn Niagara Falls. If you only go one place on your Niagara Falls getaway, the Skylon Tower Observation Deck is it. A trip to the top of this world-famous Niagara Falls attraction combines an exhilarating 52 second ride with the awe of seeing Niagara from 775 feet above the mighty Falls. From the moment you hop aboard one of our “Yellow Bug” glass-enclosed exterior elevators and glide smoothly to the top, you’ll agree the Skylon Tower is the highlight of your visit. The Skylon Tower is home to Niagara Falls largest indoor entertainment center – the Skylon Family Fun Center. 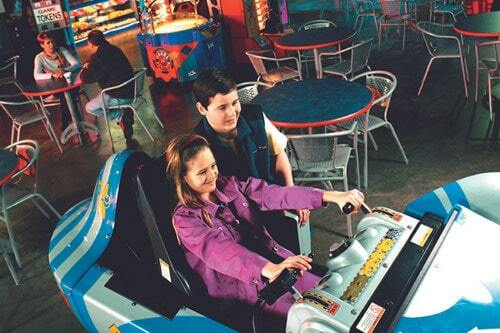 Conveniently located in the Skylon Tower lower concourse level, this attraction features high-tech interactive games and rides for all ages. Niagara Falls is the collective name of three waterfalls (Horseshoe Falls, American Falls and Bridal Veil Falls) that are between the borders of Canada and the USA and is one of the seven natural wonders of the world. See it up close on a Hornblower Boat Cruise or take part in the Journey Behind the Falls. You can also view it from the sky on Skylon Tower’s observation deck. Whatever you choose, you need to see the natural attraction in person to experience to sheer power of the Falls. Ride to Fun! This state-of-the-art bus system connects accommodations and Niagara Falls tourist areas. 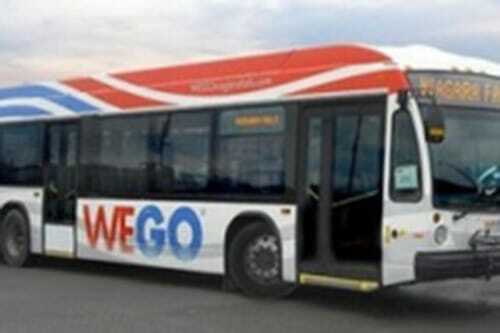 WEGO is a unique partnership between The City of Niagara Falls and The Niagara Parks Commission to provide integrated bus service to visitors. The WEGO delivers a seamless connection between tourist attractions within the city and Niagara Parks, helping you to experience all that this world-class destination has to offer. WEGO is fully accessible and will operate year-round, giving easy, convenient service to travelers from around the globe who visit Niagara Falls. At Niagara Parks, WEGO replaces the familiar fleet of Peoplemover buses which have operated seasonally for over 26 years. Fallsview Casino is the holy grail of casino gaming in Canada. The Fallsview Casino contains 3000 slot machines, over 100 gaming tables spread across a 200,000 square feet floor area. Fallsview also contains a concert showroom that has hosted the biggest stars in show business including Jay Leno, Kelly Clarkson and Diana Ross. Come down to Niagara and experience the sophistication, luxury and pulsing energy that is Fallsview Casino. 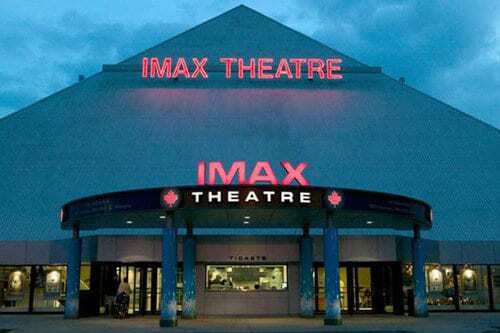 The Niagara Falls IMAX® Theatre is where your adventure begins! Located in the heart of the Niagara Falls tourist and entertainment district, the theatre is home to the IMAX® film, Niagara: Miracles, Myths & Magic, the amazing Niagara Falls Daredevil Exhibit, and the best source of daredevil and Niagara Falls history. In addition, when these films are being played on a 6 feet high screen with 12,000 watts of digital surround sound, you’ll feel like you’re right in the action. 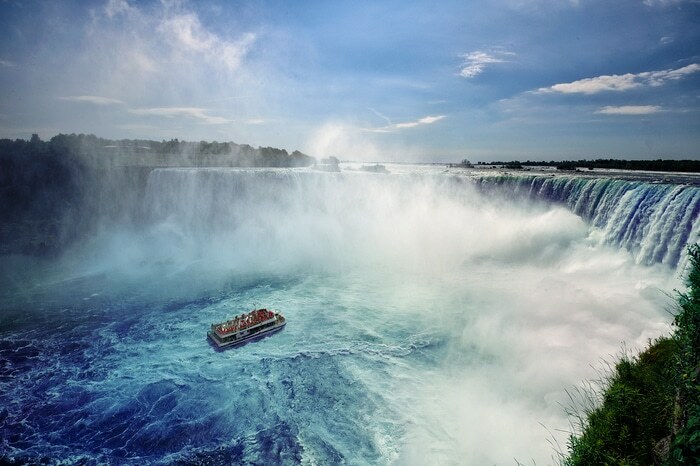 Hornblower Niagara Cruises will bring you as close as possible to one of the natural wonders of the world. Experience the breathtaking view, the power and the mist that the mighty Niagara Falls brings, by hopping aboard one of Hornblower’s state-of-the-art catamarans. 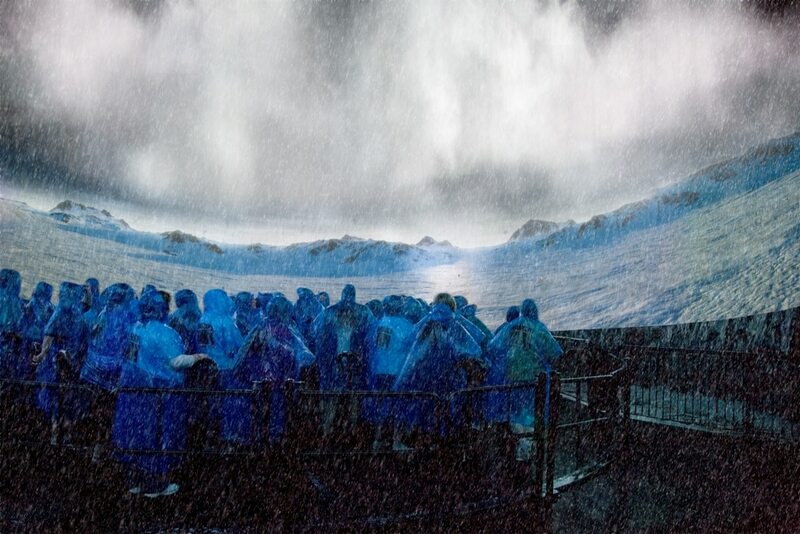 Travel back in time 10,000 years to experience the Creation of the Falls. Witness the power and beauty of nature in 4D as the history of Niagara is revealed – you’ll feel like you were actually there when Niagara’s Great Gorge was formed! To get the Authentic Falls Adventure, experience Niagara’s Fury as part of the Niagara Falls Adventure Pass! The Pass gives Priority Access to four top Falls attractions plus two days of in-Park transportation, all at a 33% discount. Open year-round, this attraction is also part of the Winter Magic Pass. Enjoy the savings and purchase the Pass at any Niagara Parks Welcome Centre or attraction, participating hotels or online. Feel the Thunder! The sound is like thunder, the sight awe-inspiring! 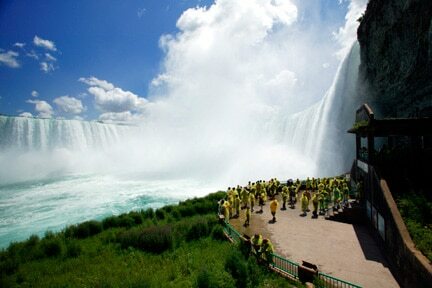 Water crashes around you from 13 storeys and immerses you in the spray and mist of the mighty Horseshoe Falls. This exhilarating journey takes you down 150 feet below the heart of Falls through tunnels that lead you behind the rushing wall of water. Take in spectacular views from observation decks at the foot of the Falls where you can actually feel the thunder of the crashing waters. Get Priority Access to this thrilling experience by purchasing your Niagara Falls Adventure Pass that includes not only the Journey Behind the Falls, but four top authentic Falls Adventures at a 33% savings! Open year-round, this attraction is also part of the Winter Magic Pass. Enjoy the savings and purchase the Pass at any Niagara Parks Welcome Centre or attraction, participating hotels or online. Amazing Birds, Reptiles and More!! 4x Winner of Niagara’s “Attraction of the Year”, this soaring adventure is for the whole family! 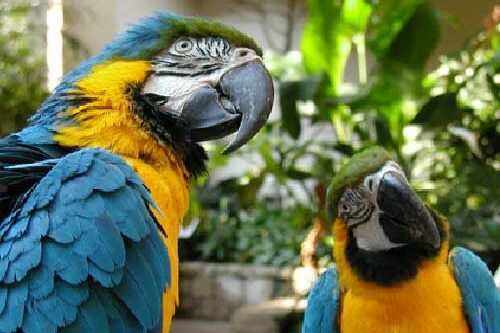 Discover the world’s largest indoor, free flying aviary with over 400 exotic birds from around the world. Nine specialty areas to explore as you journey through this magical Kingdom. Clifton Hill is considered Niagara Falls’ Street of Fun as it boasts a wide array of exciting attractions, exhibits and world-class restaurants all within walking distance of each other. 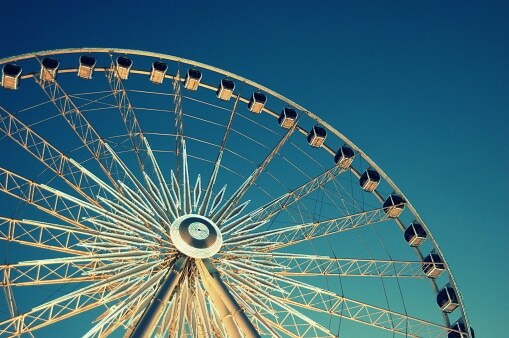 Want to play some video games, hop on a ferris wheel or play golf with dinosaurs? Clifton Hill has it all and more! 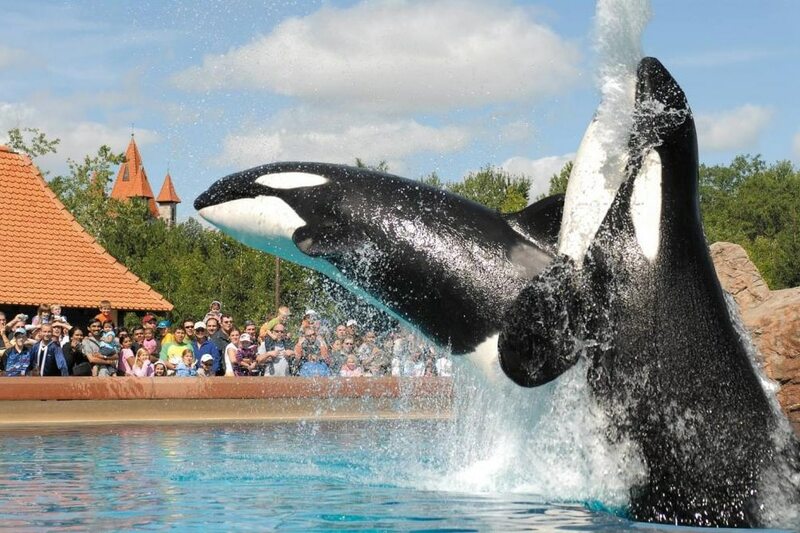 You’ll want to spend the whole day to enjoy all the fun offered at Marineland. See performing dolphins, sea lions and walruses. Marvel at killer whales. Feed and touch a beluga whale. There are land animal displays and thrilling amusement rides for all ages. Don’t miss this popular Niagara attraction! This flight without feathers is the coolest way for humans to soar across the sky while taking in views of the thunderous Niagara Falls! Riders hover a precarious 67 metre (220 foot) high for 670 metres (2,200 feet), at speeds of 70+ kph (40+ mph), along the edge the vast Niagara river gorge to the Falls observation landing. Feel the incredible force of nature on your face. From the sensation of lift-off to the excitement of soaring above the turbulent rapids and the cascading waterfall, your all-scenic flight give you a thrilling view of Niagara’s natural and man-made wonders. 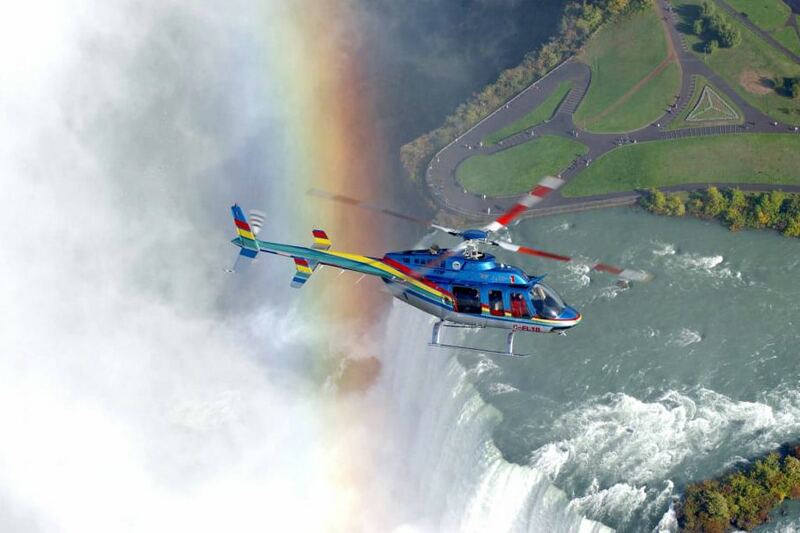 For over 40 years , Niagara Helicopters has been thrilling people from around the world with the highest, most scenic, most exciting sightseeing experience in the Niagara Region – all from the safety and comfort of one of five meticulously maintained Bell 407 helicopters. Their 9-minute tour includes on-board commentary in many different languages including English, French, German, Spanish, Japanese, Korean, and Chinese. Soar the Great Gorge! 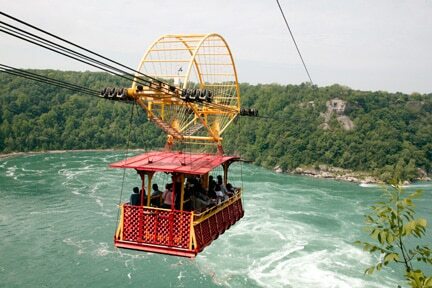 High above the racing Niagara River, you will be transported through the air in an antique cable car. Far below, the torrent of water abruptly changes direction and creates one of the world’s most mesmerizing natural phenomena – the Niagara Whirlpool. Sometimes frightening and always unforgettable! A coupon for discounted admission to the Whirlpool Aero Car is included with the purchase of the Niagara Falls Adventure Pass. Open seasonally. 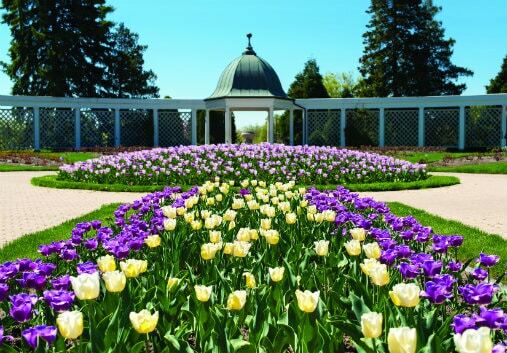 Botanical Gardens in Niagara Falls is located just a 10 minute drive north of the mighty Falls. When you visit Botanical Gardens you’ll get a chance to experience 99 acres of beautifully maintaned gardens. In addition, don’t miss out on their world-famous rose garden featuring over 2,400 roses! Escape to a Tropical Paradise! Imagine over 2,000 colourful tropical butterflies floating freely among lush, exotic blossoms and greenery. Paths wind through the rainforest setting, past a pond and waterfall and the emergence window, where butterflies leave their pupae and prepare to take their first flight! This magical attraction is popular with all age groups. A coupon for discounted admission to the Butterfly Conservatory is included with the purchase of the Niagara Falls Adventure Pass. 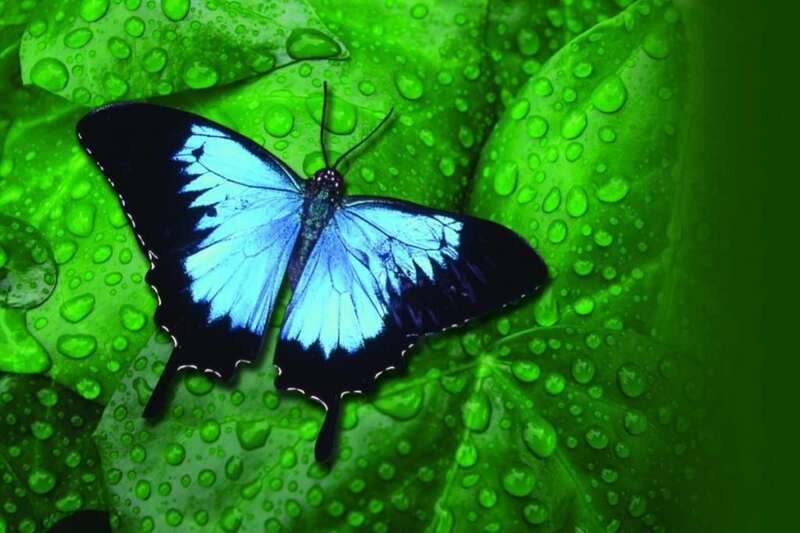 Open year-round, the Butterfly Conservatory is fully accessible. When you book a Niagara Vintage Wine Tour, you’ll experience an educational and a fun filled interactive wine experience. Join them as one of their expert wine professionals help you learn about the history of the Niagara Wine region, how grapes grow and the best part of all and what it takes to make world class wine. Niagara Vintage Wine tours will pick you up and drop you off at the hotel. 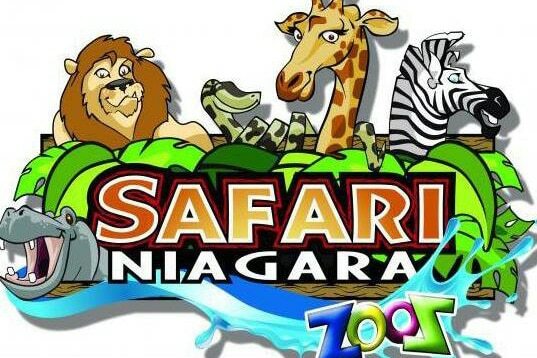 Safari Niagara is a 150 acre nature parked filled with many different kinds of animals and birds. It is a great family attraction that not only lets children view these animals, but can interact and learn more about the different types of animal species living here on Earth in a rewarding way. 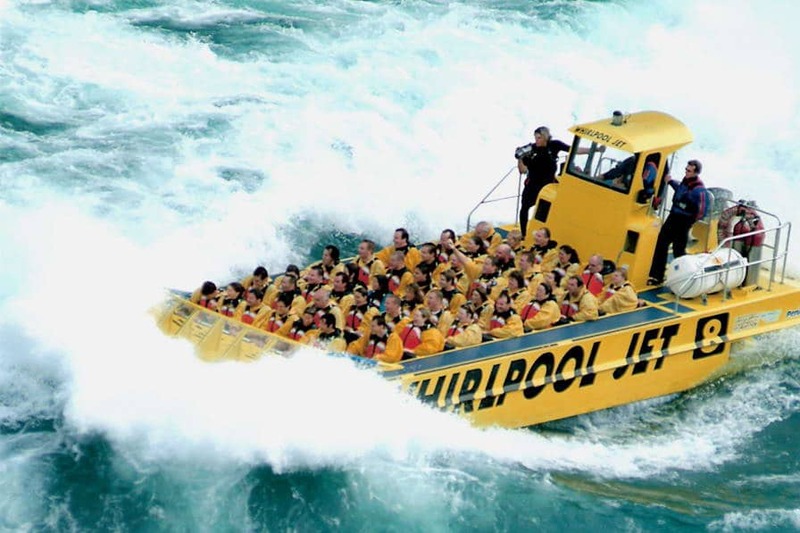 Whirlpool Jet Boat Tours is an exhilarating white-water experience on the Niagara River with awe-inspiring scenery, historical landmarks, and class five rapids through Devil’s Hole. Get absolutely soaked on the “Wet Jet” experience or remain completely dry while aboard the “Jet Dome” tour. Daily departures from May to October. A beautiful colonial town and former capital of Upper Canada, Niagara-on-the-Lake is considered the prettiest town in Ontario and is also the heart of the Ontario wine region. Niagara-on-the-Lake is the perfect place to visit in the Niagara region if you’re looking to revisit history, enjoy the best in theatre productions, fine dining, shopping and much much more. Aerial Adventure Courses – All kinds of cool obstacles – up high in the sky. Way, way up above your head, there’s an obstacle course where we throw everything at you: log ladders, ziplines, cargo nets, rope swings, tightropes, swinging logs, wobbly bridges. Dozens of suspended surprises are up there, becoming more challenging the higher you get. Games and zip lines that start at six-feet (two metres) above the ground, the more you climb the better you get.You’ll get the hang of the navigation. Challenge is part of the fun. The highest obstacles and ziplines – up to 60-feet (18 metres)! This course will really going to push your limits. We made suspended games up to 15-feet (three metres) high, including our special bumple ziplines, just for young guests. .
A fun and thrilling experience of suspended obstacles and ziplines high above the world-famous whirlpool and Niagara gorge. Three self-paced courses include dozens of climbing, ziplining, jumping, and swinging aerial games.